I wanted to share with you a few products I purchased last month when visiting the Bleu Lavande organic farm in Stanstead, Quebec, located near the American border. 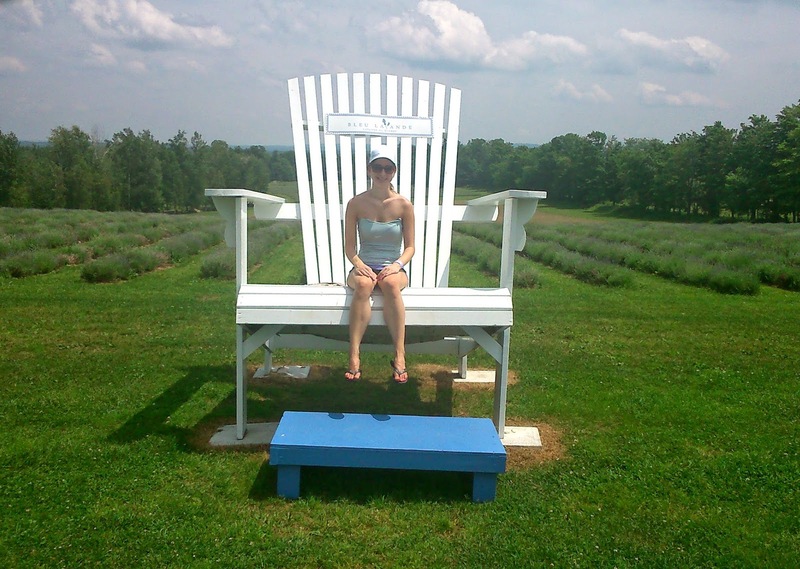 It is Canada's largest lavender farm and second largest in North America, and this year marks their 10th anniversary. Not only do they offer a wonderful tourist attraction, but they also make their very own products that are available to the public on site or through their website. I am a nature lover so getting to see with my own eyes how lavender is grown was such a treat. I headed out with my family on a beautiful sunny day, and upon arrival we had a picnic-style lunch since we brought our own food, which they invite you to do as they have many picnic tables on the estate. They also have a quaint cafeteria which we later visited, where they even serve lavender beer (although I did not try it since I don't drink alcohol, but I was told it was very good). After paying for our admission, we were greeted by a friendly tour guide who first screened a video indoors for us covering the history of the farm and how lavender is actually grown, cultivated and the oil extracted on location and also how this process has evolved throughout the years. With the harsh winter weather that we experience here in Canada, they have developed a very efficient method to cover the shrubs during the cold season, preventing the lavender plants from freezing, all without doing any harm to the environment. They do not spray any chemicals or pesticides on their plants, but instead use a tractor which sprays boiling water along the sides of the lavender shrubs to kill off any weeds and this is done daily (we even got to see the tractor in action!). 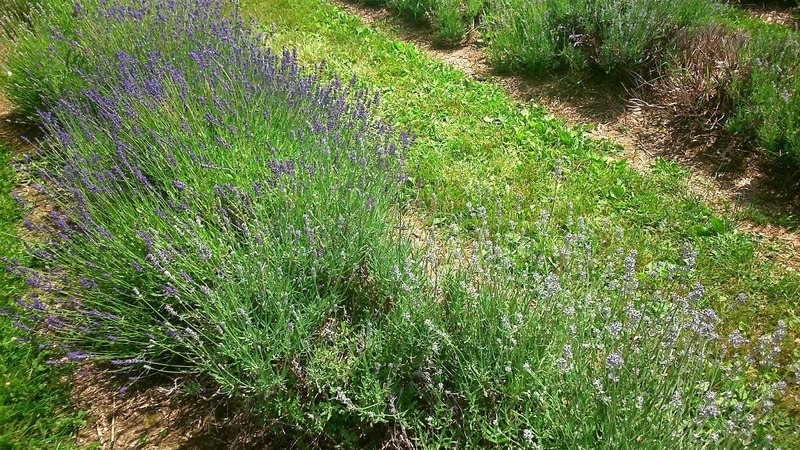 We also learned that Bulgaria and France are also some of the world's top producers of Lavendula Augustifolia, also called true of fine lavender, basically lavender in its purest state, meaning that it hasn't been hybridized. We learned that the peak season is the second half of July, so we were just a couple of weeks short of seeing the lavender plants in full bloom, but that did not take away from the wonderful, soothing scent that came from the fields, which you can immediately take in upon arrival. 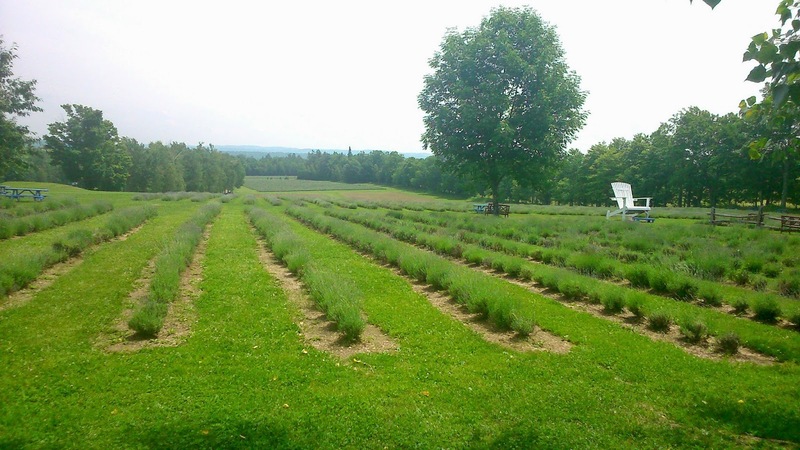 The Bleu Lavande farm also has an indoor and outdoor boutique where you can purchase their products and they even sell potted lavender plants to grow yourself. Since my mom is the one with the green thumb in the family she naturally had her eyes on a new plant for our garden, while my sister and I indulged in some beauty care products. As we learned that day, lavender essential oil's main property is that it is extremely soothing - simply breathing it in can alleviate stress. It is also very powerful to relieve pain, and just a couple of drops applied to the temples is beneficial for treating migraines and headaches. It is also a natural insect repellent, especially good at keeping black flies away. 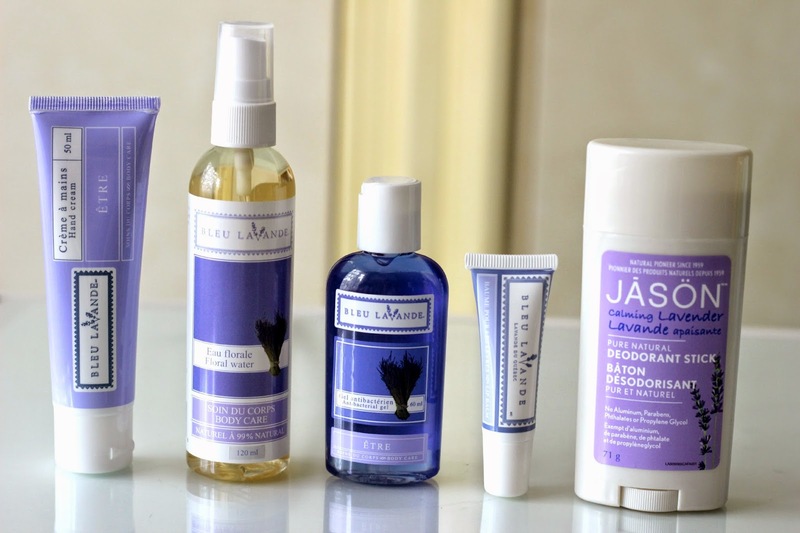 My sister got the Bleu Lavande Essential Oil, a few Scented Pouches of dried lavender flowers (potpourri) to keep in her room for added freshness and aromatherapy, as well as the Intense Gel which is part of their body care line. 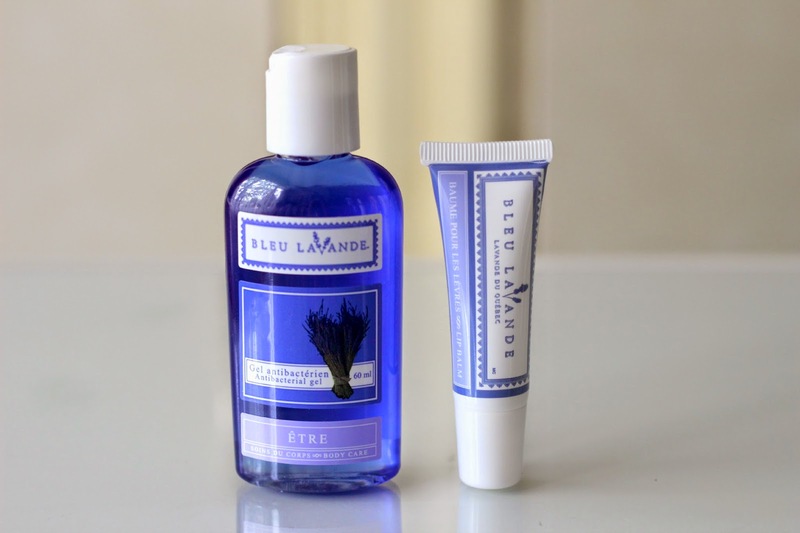 I myself picked up the Bleu Lavande Hand Cream, their new Floral Water (great for makeup removal), the Antibacterial Gel and the Lip Balm. All I can say is: I love lavender! 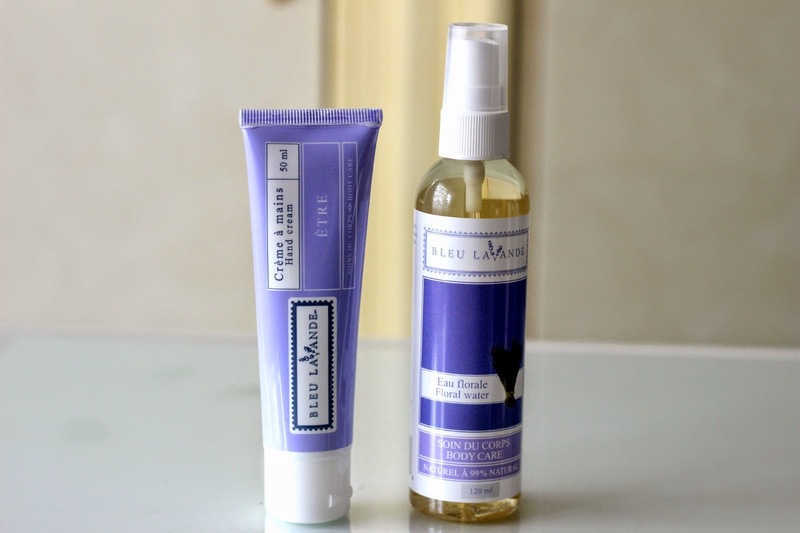 If you would be interested in trying any of their products or visiting the Bleu Lavande estate, make sure to check their website out here. 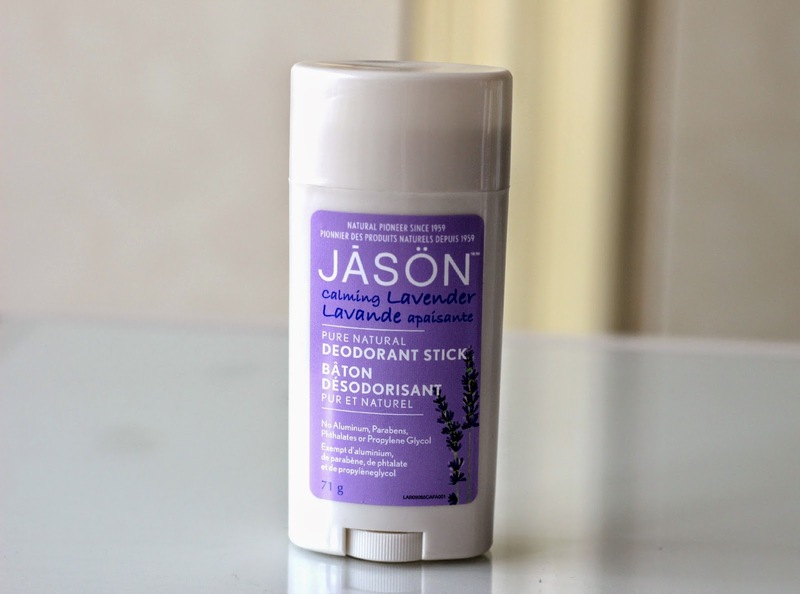 Have you tried any lavender products? Which one of these products would you be tempted to try? 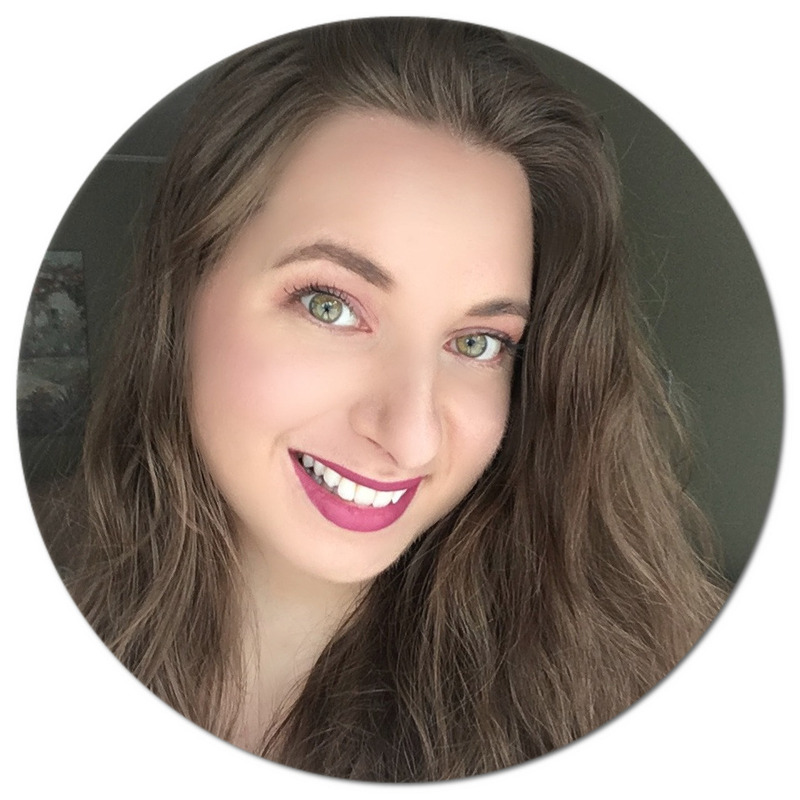 WOW, I love the natural products you are reviewing and lavender has so many benefits! The pure version is always better and it is so awesome that you got to visit the farm! I bet this place smelled heavenly! 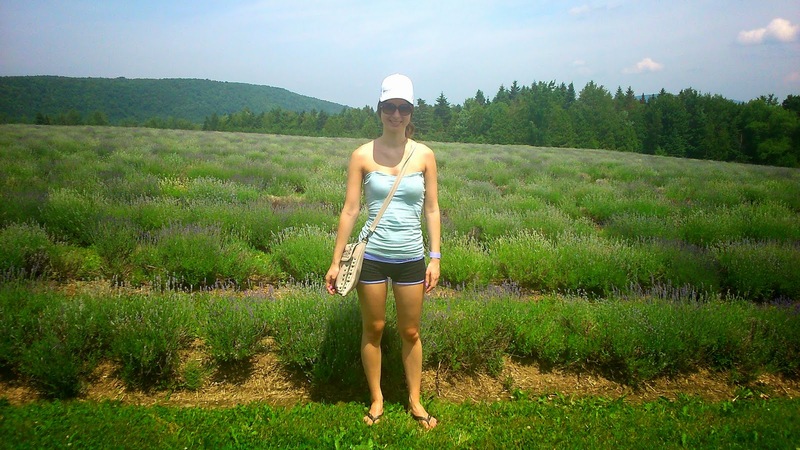 I'm sure you loved your visit :) Thanks for sharing your review on Wake Up Wednesday of this Organic Lavender Farm. I love the lavender. It's such a great scent. And I'm interested in trying that deodorant. There is nothing better than the scent of lavender just before bed. I had no idea this place was in Quebec - I'm sniffing a road trip soon! !